There are different opinions regarding the identity of the architect. 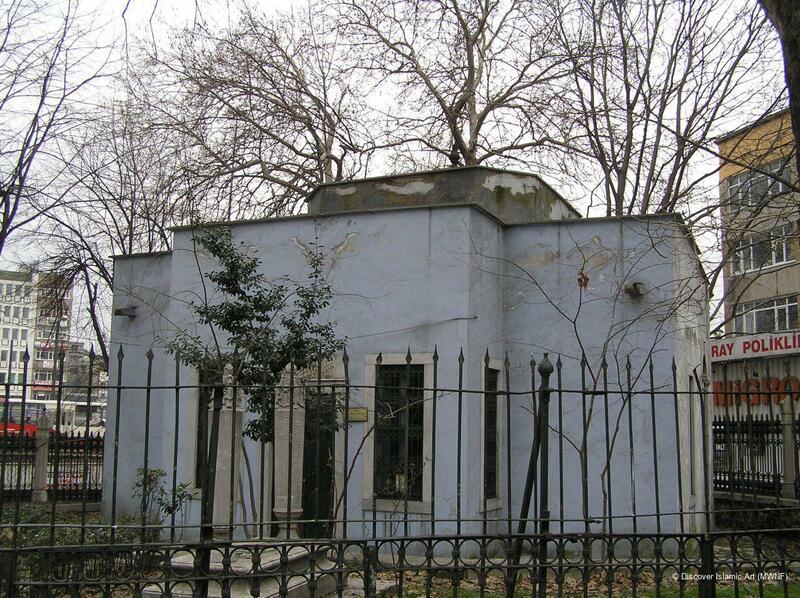 Some researchers think it was the Italian architect Montani Effendi, while others believe the architect was Sarkis Balyan. It has also been suggested that Agop Balyan participated in the design, and that the designer Osep assisted with construction. Pertevniyal Valide Sultan (the mother of Sultan Abdülaziz, d. AH 1301 / AD 1883). 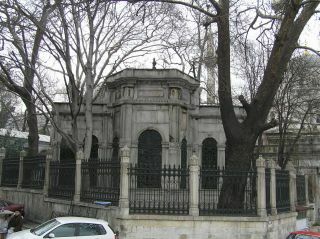 The complex, which comprises several buildings around a central mosque (külliye), was commissioned by Pertevniyal Valide Sultan and consists of a mosque, a tomb, a sabil, a public fountain, a clock-room where timepieces for calculating prayer times accurately on a daily basis were kept, a library, and a theological school (madrasa). The mosque is a single-domed, square prayer hall, following the traditional plan. 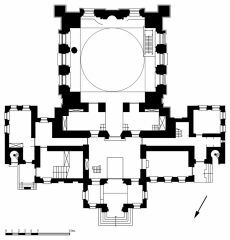 In front of its strongly vertical mass is an additional two-storey building that comprises the portico for latecomers, men's and women's areas, the sultan's loge and various rooms. 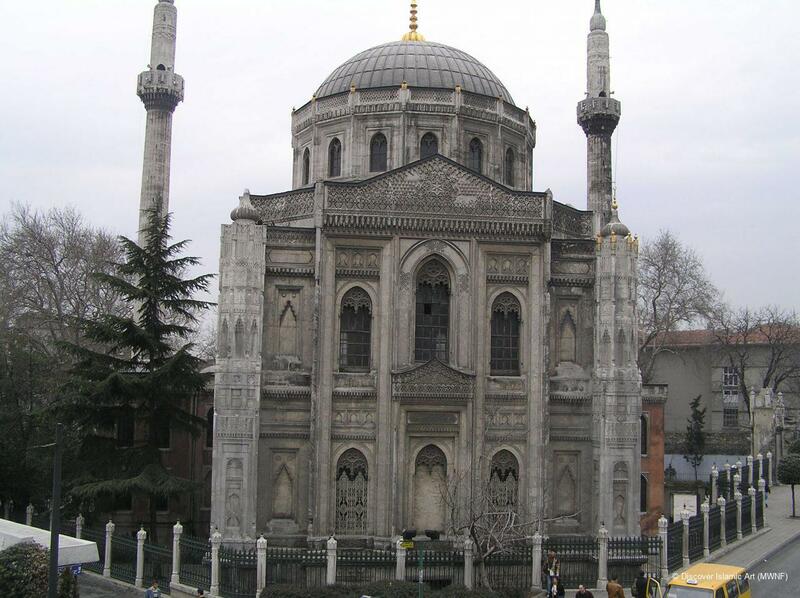 Attached to this additional building, separate from the main body of the mosque, are two minarets, each with a single balcony. The square prayer hall measures 10 m x 10 m and is extended with arches on four sides. The mosque's east, west and south façades are all emphasised with turrets and the outward projections of their central sections are each crowned with a triangular pediment. Each section has two rows of three windows. The dome, separated from the walls and brought inward, is supported on a high, 12-sided drum. 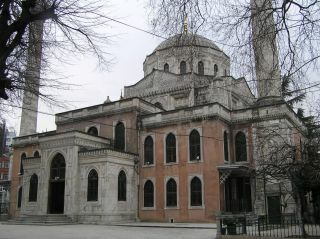 The Pertevniyal Valide Sultan Mosque is noteworthy for the density and variety of its decoration. 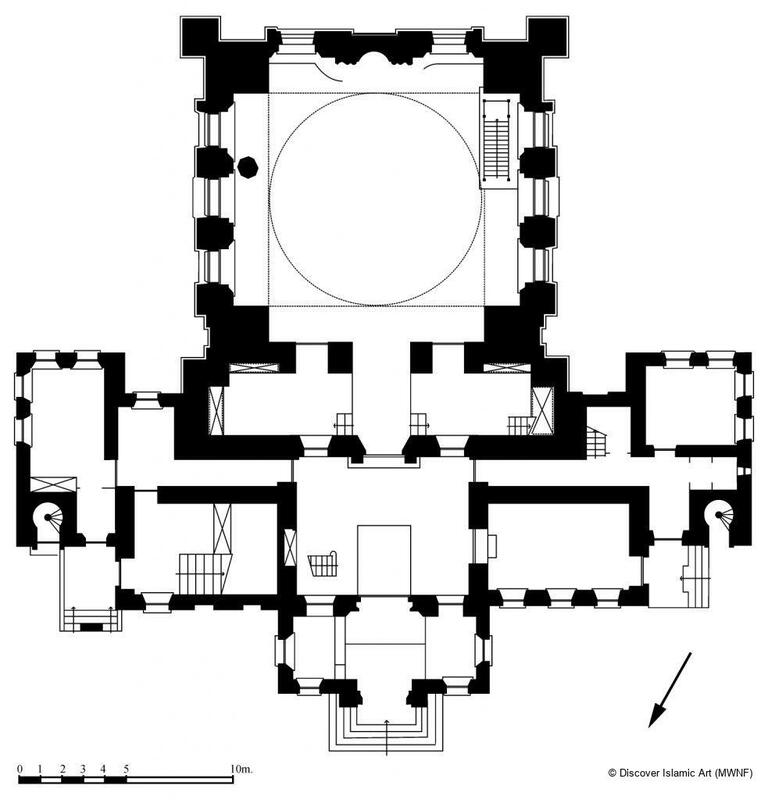 The projecting central sections of the façades and the windows on the drum of the dome are executed in the Gothic style. The design of triple blind niches above the windows, for instance, borrow elements from Ottoman decorative art, while their location recalls examples from North African and Andalusian architecture. The blind niches, as well as the decorative compositions of arabesques and palmettes on the façades, are, like the muqarnas, elements borrowed from Classical Ottoman art. The corner turrets, each of which terminates in a lobed onion-dome reminiscent of Indian architecture, are decorated with niches containing muqarnas, again borrowed from Classical Ottoman architecture, as well as the simple blind niches and various geometric motifs. The interior space, like the façades, is densely decorated. 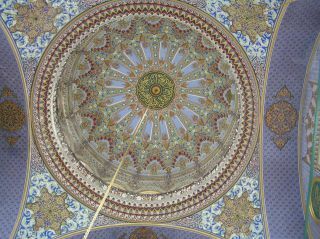 Ottoman motifs are used in painted decoration (kalemişi) in which blue dominates. 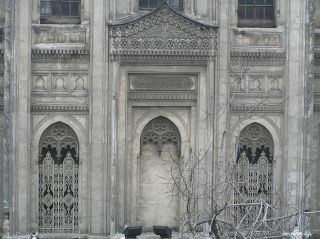 A cornice with muqarnas surrounds the upper section of the lower row of windows. 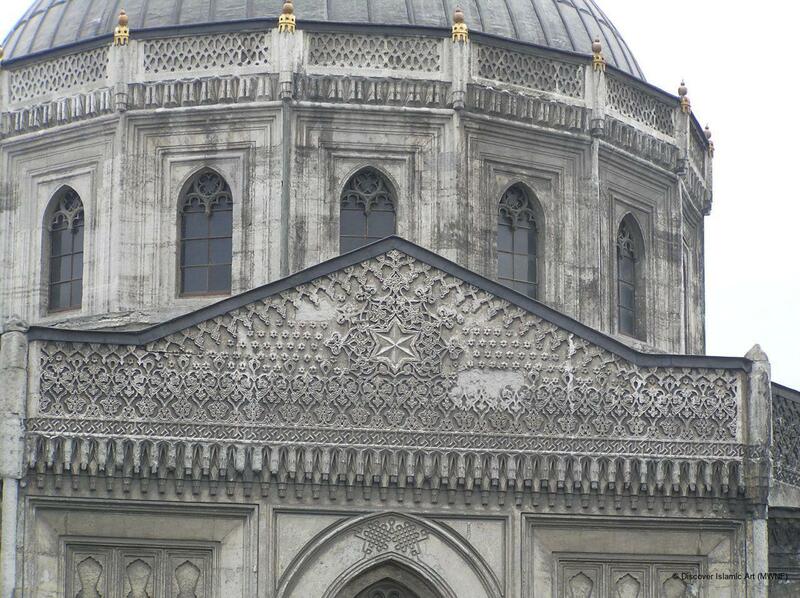 On the surfaces of the walls, as on the façades, classical Ottoman elements are found including blind niches, muqarnas, arch motifs, arabesques, and Chinese-inspired floral ornament. 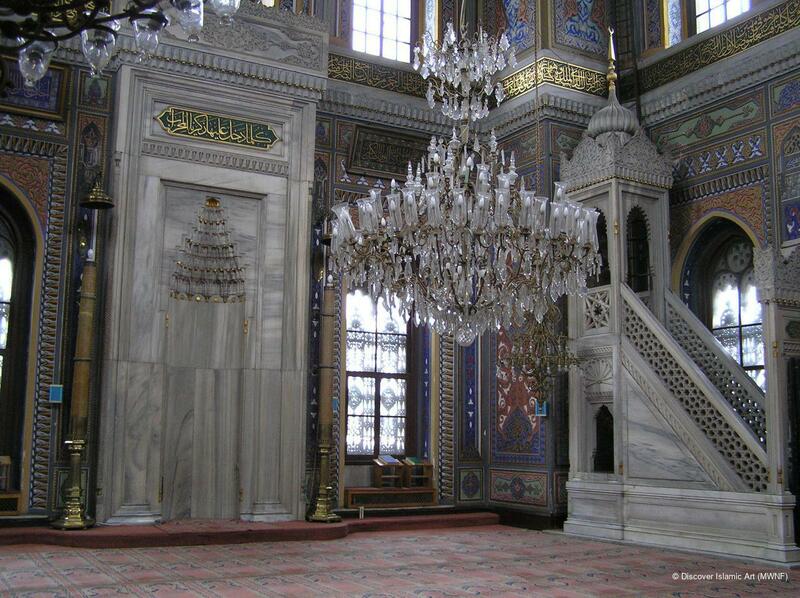 The marble mihrab and minbar are plain. The building, which reflects the stylistic characteristics and innovations of the period of its construction, was built in an eclectic style with a strongly Oriental inclination. 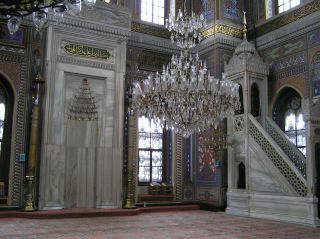 The simultaneous use in the Pertevniyal Valide Sultan Mosque of different elements from several styles and disciplines, such as Gothic, Ottoman, and Indian architecture and decorative arts, illustrates the influence of this eclectic viewpoint, which was widespread throughout Europe in this period. 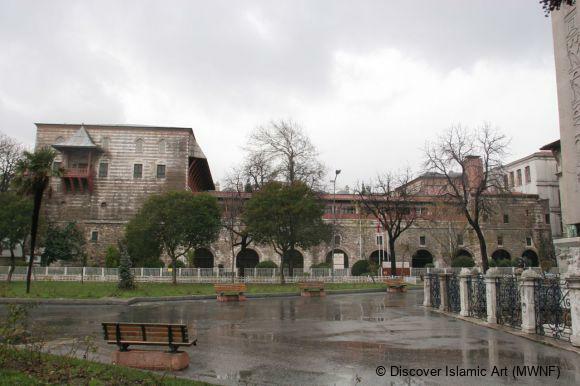 The madrasa built by order of Pertevniyal Valide Sultan burned down in AH 1328 / AD 1911, while the tomb, sabil and clock room were removed during the renovation of Aksaray Square and surroundings in 1956–9. Following various works to the roads in the area the mosque remained below the level of the street, while parts of the tomb were taken to the graveyard (hazire) adjoining the tomb of Sultan Selim III. 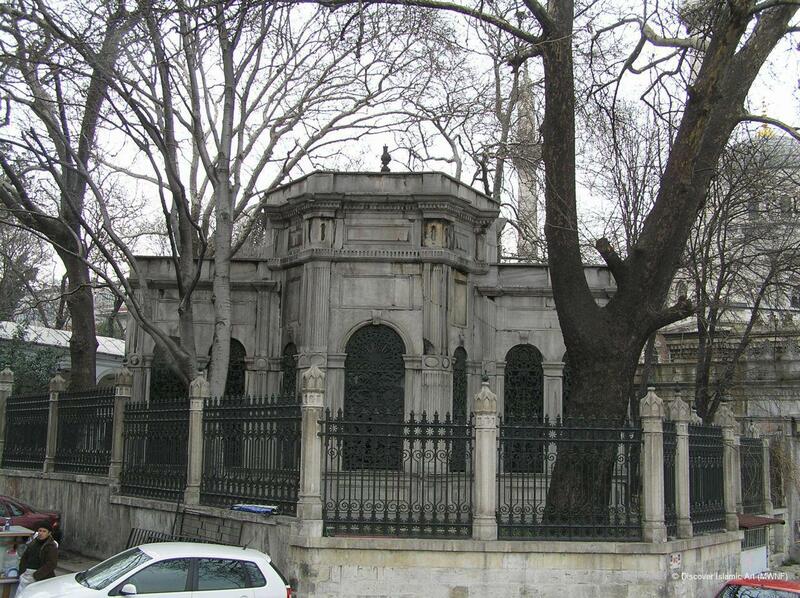 Later, the tomb of Pertevniyal Valide Sultan was rebuilt in the complex courtyard using original parts of her tomb that had been dismantled, taken to the hazire, brought back to the courtyard and remounted. 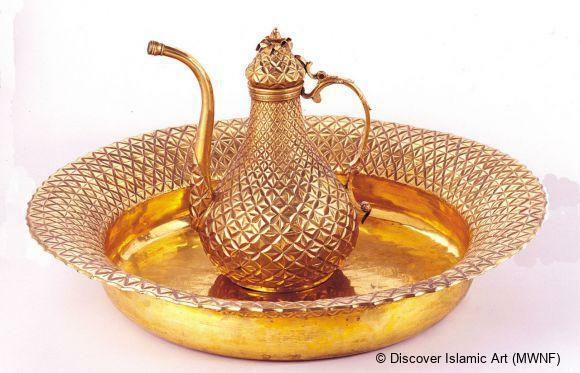 Her body was removed first to the Topkapı Palace, then to the tomb of Sultan Mahmud II, and then returned to her own tomb, where it remains today. 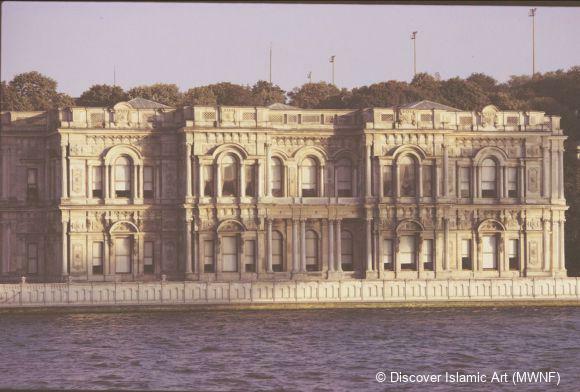 The complex was built by Pertevniyal Valide Sultan, wife of Sultan Mahmud II and mother of Sultan Abdülaziz, who was known for her charitable works. 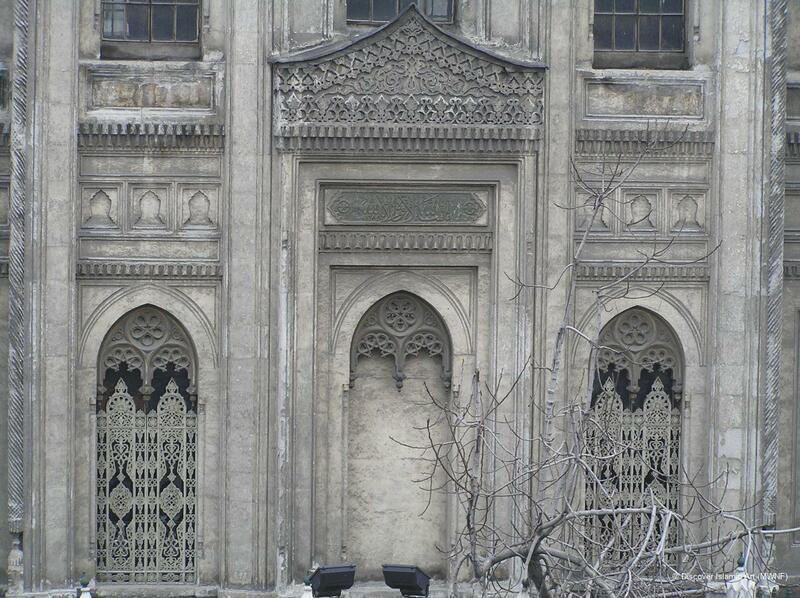 It comprises a mosque, a mausoleum, a sabil (water dispensary), a fountain, a clock-room and a school. The mosque reflects the characteristics of its period. The square prayer hall covered with a dome is extended with a wide arch to four sides. 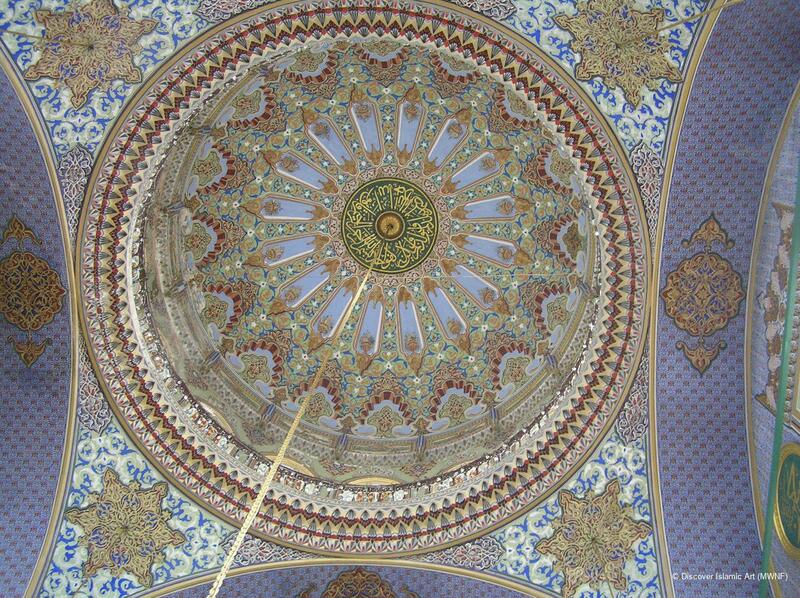 Mainly Oriental in style, the mosque is lavishly decorated. 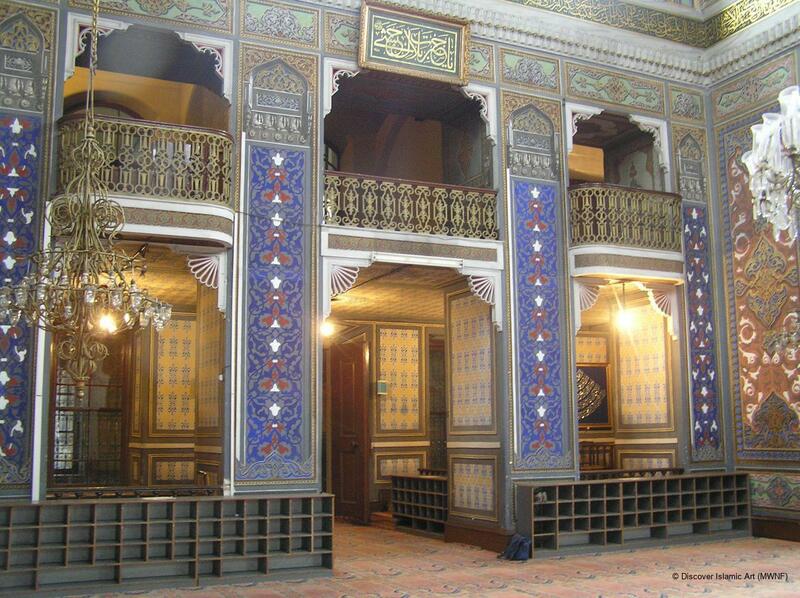 It was built with an eclectic taste bringing together elements from Gothic, Ottoman, Islamic and Indian arts. According to the inscription above the gate to the courtyard, construction was completed in 1288 / 1871. Some documents indicate that the foundations were laid in ceremonies in Sha'ban 1285 / November 1869 and that construction took three years. 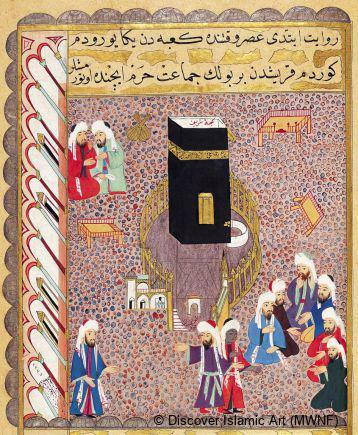 Batur, A., “Valide Camii [The Valide Mosque]”, İstanbul Ansiklopedisi [Encyclopaedia of Istanbul], Vol. 7, 1994, pp.360–2. Eyice, S., “İstanbul'un Tarihi Eserleri [Historical Monuments of Istanbul]”, İslam Ansiklopedisi [Encyclopaedia of Islam], Vol. 5/2, pp.1214–63. 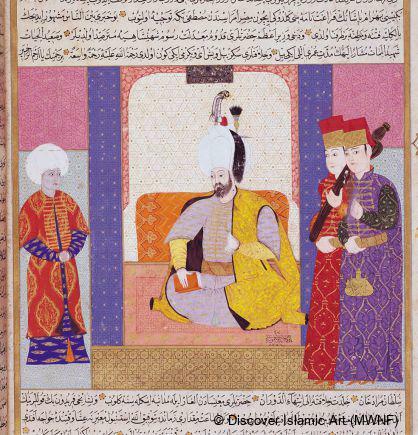 Okçuoğlu, T., “Pertevniyal Valide Sultan Türbesi [The Tomb of Pertevniyal Valide Sultan]”, İstanbul Ansiklopedisi [Encyclopaedia of Istanbul], Vol. 6, 1994, p.246. öz, T., İstanbul Camileri [The Mosques of Istanbul], Vol. I, Ankara, 1962. Saner, T., 19. 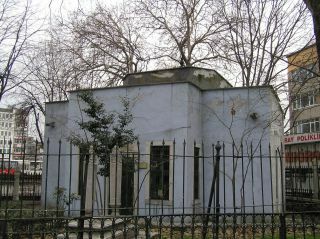 Yüzyıl Osmanlı Mimarlığında “Oryantalizm” [“Orientalism” in 19th-Century Ottoman Architecture], Istanbul, 1988. İnci Kuyulu Ersoy is Head of Western and Contemporary Art, Department of Art History, Faculty of Letters, Ege University, Izmir. She was born in Nazilli, Turkey, in 1957. She graduated from TED Ankara College in 1976 and from Hacettepe University, Social and Management Sciences Faculty, Department of History of Art in 1980. She received her MA in 1982 and her Ph.D. in 1989 from Ankara University, Faculty of Linguistics and History-Geography, Department of Art History. She was appointed as research assistant to the Department of Art History, Ege University. She became assistant professor in 1989, associate professor in 1994 and full professor in 2000 at the same university. She is also Head of Turkish Art History at the Institute for Research on the Turkic World. 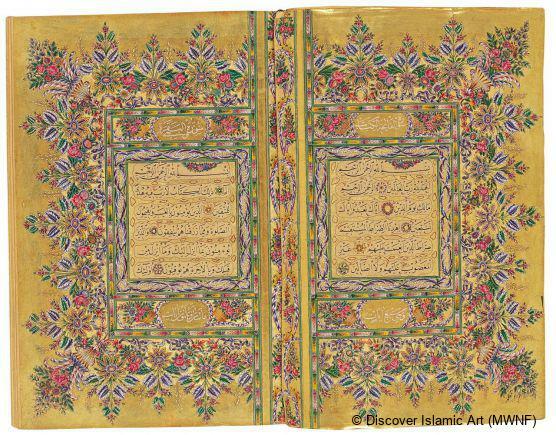 She has researched and published widely on Turkish art. İnci Türkoğlu has been working as a tourist guide and freelance consultant in tourism and publishing since 1993. She was born in Alaşehir, Turkey, in 1967. She graduated from the English Department of Bornova Anatolian High School in 1985 and lived in the USA for a year as an exchange student. She graduated from the Department of Electronic Engineering of the Faculty of Architecture and Engineering, Dokuz Eylül University, Izmir, and the professional tourist guide courses of the Ministry of Tourism in 1991. She worked as an engineer for a while. She graduated from the Department of Art History, Faculty of Letters, Ege University, Izmir, in 1997 with an undergraduate thesis entitled “Byzantine House Architecture in Western Anatolia”. She completed her Master's at the Byzantine Art branch of the same department in 2001 with a thesis entitled “Synagogue Architecture in Turkey from Antiquity to the Present”. She has published on art history and tourism.